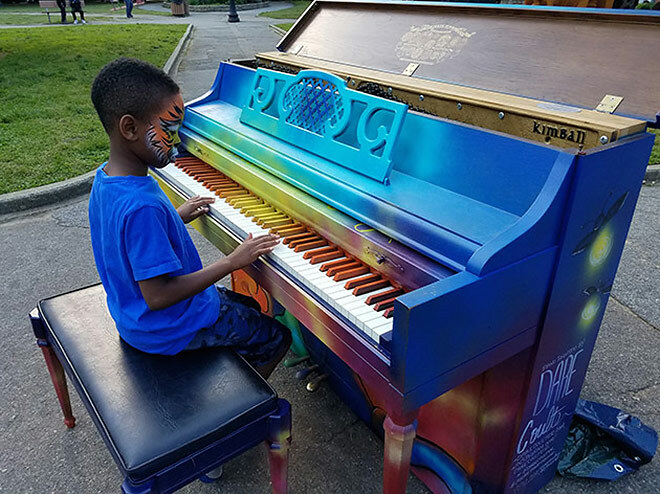 Play a song on one of our beautiful art pianos painted by local artists. On Bicentennial Plaza, inside the North Carolina Museum of History and the North Carolina Museum of Natural Sciences. Children 5 years old and under are permitted free when accompanied by a pass-wearing adult.